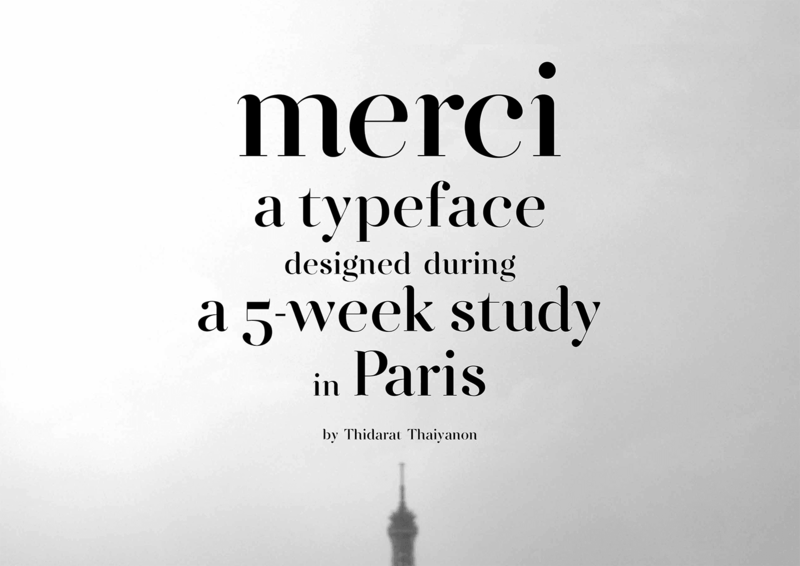 It is my first-time experience with type design during the study at Type@paris2015 for five weeks. It is also my first time living in Paris for quite a long period. I named my typeface ‘merci’ as the thankful memory for my experience here. It started with the calligraphy class when I learned where the thick and thin part of the letters came from. I also learned the order of the calligraphic line when writing the letter. I used the narrow nib pen and found out later that it affected the drawing as it created the low contrast letters and it was so hard to identify the thick and thin part of it. It took me quite a time to adjust my letters structure to make a whole united set. At the struggling phase, I found my letters are swell like cooper. 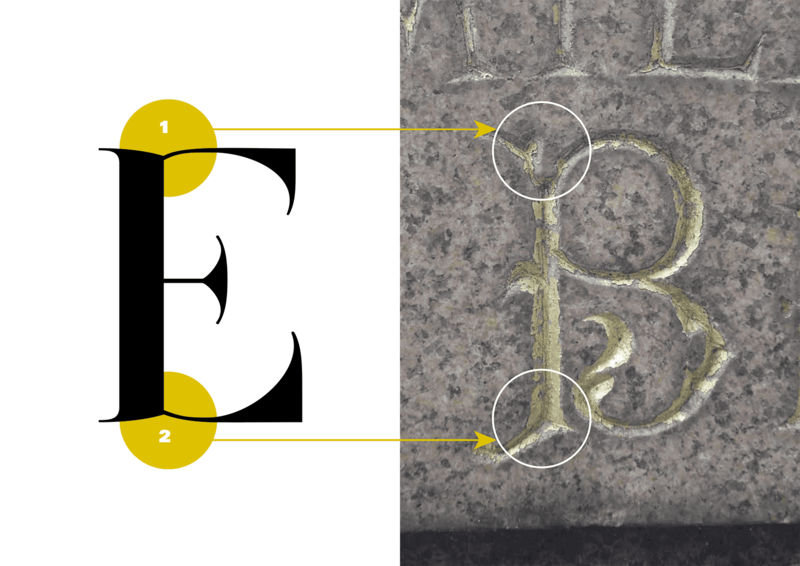 But to learn the letter structure I have to also look at galliard which is the typeface that follow all the rules of type design. With this combination, I took the bottom serif of cooper into my typeface but stick with the rule of letters structure like galliard. After I got my ’n’, I play with the contrast and got my final ’n’ which has 3 different features; the top serif, the bottom serif and the terminal. 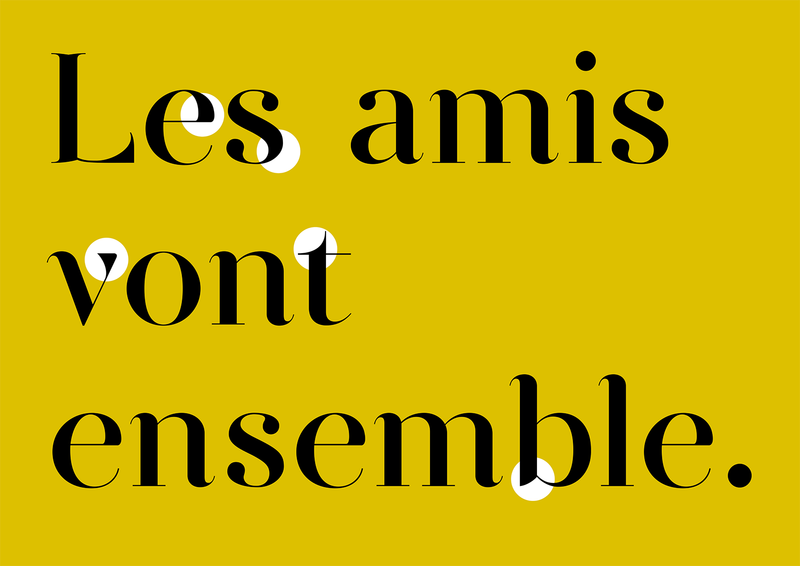 For the capital, I took the reference from the tuscan serif and some letter I found at ‘père lachaise cemetery’ which is located very near to my apartment in Gambetta. After the ’n’ I had to come up with the system of my character set and found out that with this high contrast look, most of the structure of my type are the vertical stem and the round shape outside and a more oval shape counter. This is the main character that I had to unite it in the whole set. Like walking in Paris, you need the comfortable shoes to make your life more enjoyable, as the typeface needed to be fixed and got rid of the too-complex elements. I decided to repeat the terminal as the top serif and changed the bottom serif to be flat. 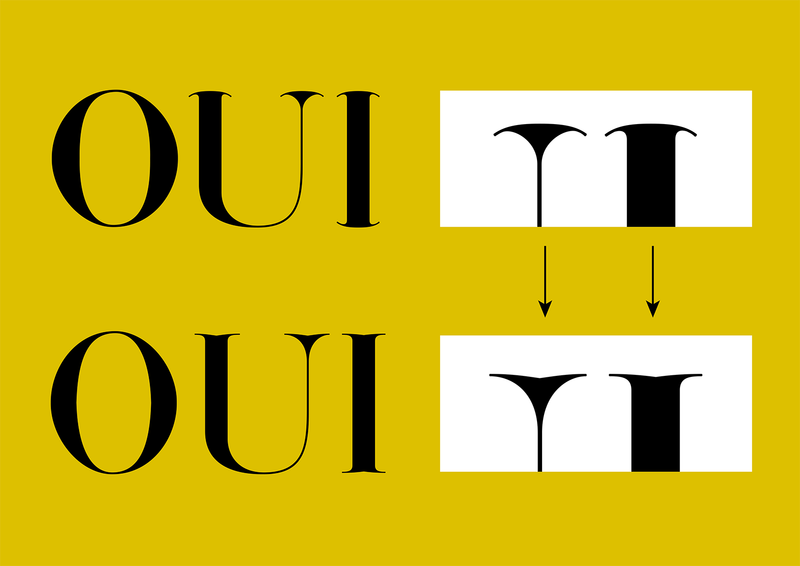 This made my typeface more rhythmic synchronize. 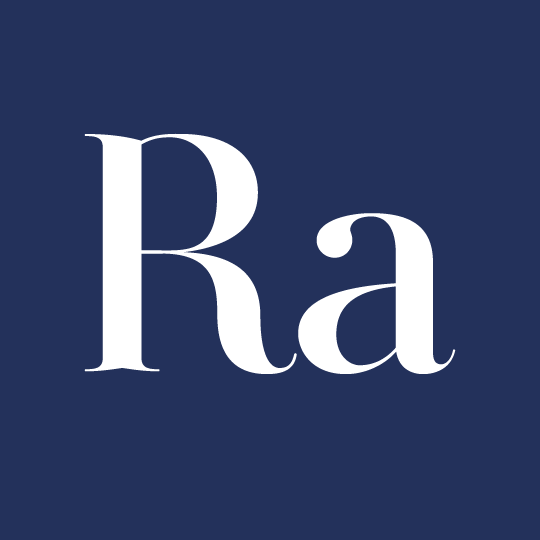 However, I still keep the complexity serif in the capital and adjust it to be more tuscan-serif-like. The relation between the capitals and lowercase somehow are just like me and Paris in some way.